“Everyone is being called to be a responsible corporate citizen. In trying times like these it now becomes a duty of every corporation to lend a helping hand,” Undersecretary Millar said. "Water is a critical need and a fundamental right," said Butch Meily, President of the PDRF. "It's been a year since the siege of Marawi, and until now more than 70, 000 families still have to live with the hardship brought about by the war. Today we are even more determined to turn the tide by providing them with the water they direly need." "This project will benefit the 12 most affected areas in Marawi, the biggest of which is Saguiaran," said Meily. "Community consultations will continue to ensure the project's viability, accessibility, and efficacy." "Marawi has always been one of the key communities that patronize and support our products and we have great stories of partnerships with PCPPI built throughout the years. This is why when PDRF approached us and asked for help to rehabilitate the city, we did not hesitate," said PCPPI President, Samudra Bhattacharya. " By providing access to clean water to the 12 evacuation sites, especially in this time of Ramadan, we hope for a renewed determination for the residents to pursue the rebuilding of the city." 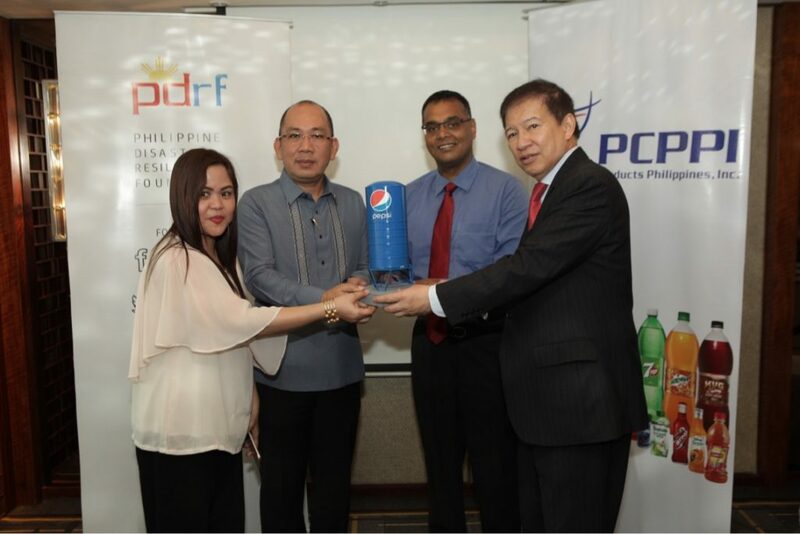 "With Pepsi and PDRF's partnership, it's evident that a scarcity of care does not exist--they have answered the call to be responsible corporate social citizens, with PDRF running toward the fire to lend a hand. Today, we find Task Force Bangon Marawi isn't an organization; it's all of us pitching in to help," said Meily.